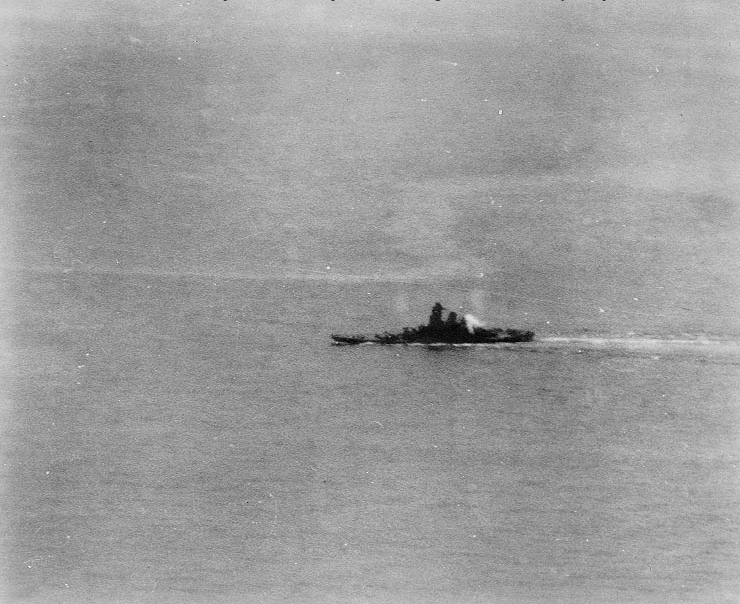 Yamato listing to port and with a fire burning on the aft superstructure during operation "Ten-Go", 7 April 1945. She is still steaming at around 10 to 15 knots as the next wave of torpedo bombers move in to attack her. Source: U.S. Naval History and Heritage Command Photograph (# NH 62580), courtesy of the collection of Fleet Admiral Chester W. Nimitz, USN. If you have spotted any errors on this page (Battleship Yamato listing to port and with a fire burning) or have anything to contribute please post it on the battleship forum.